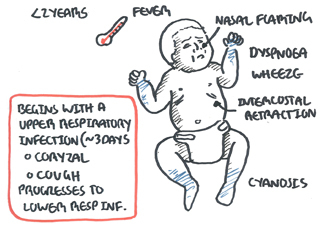 Overview Bronchiolitis is often a viral cause mainly Respiratory Syncytial Virus (RSV). 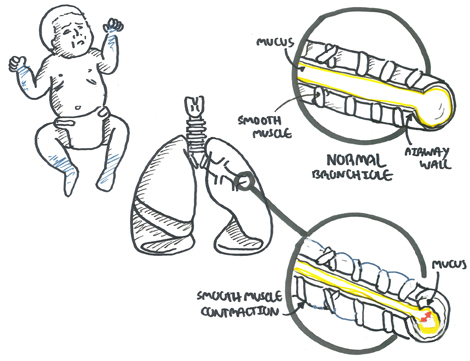 Bronchiolitis is the most common respiratory tract infection of neonates and is usually self-limiting. 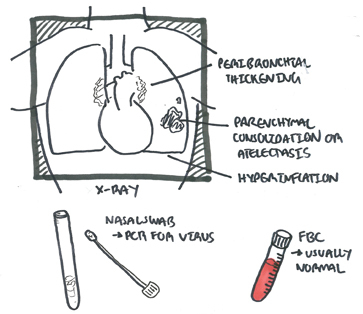 A major source of confusion of treatment is differentiating a viral bronchiolitis to asthma. 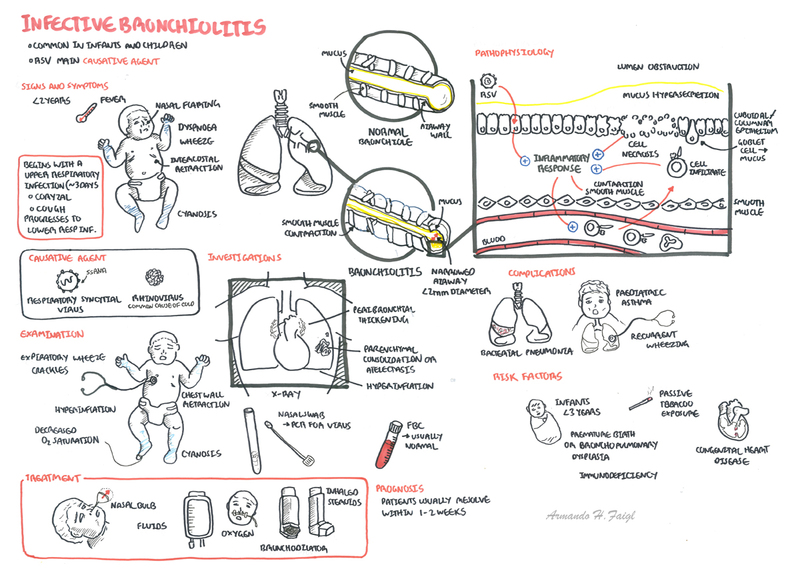 In summary bronchiolitis is usually seen in infants <2yo. Asthma is seen in older children. Side note Exclusive breastfeeding for at least 6 months is recommended to decrease the morbidity of respiratory infections. Clinical Presentation Nasal obstruction +/- rhinorrhea and an irritating cough are usually noticed first. After one to three days there follows increasing tachypnoea and respiratory distress. The chest is often overexpanded. In most children with bronchiolitis no investigations are required unless severe. Prognosis 40 percent of children with bronchiolitis will develop further wheezing episodes through five years of age, and 10 percent will have wheezing episodes beyond this age. Caswell, MD & Muncie, HL 2011, Repiratory Syncytial Virus Infection in Children, American Family Physician, vol. 15, no. 2, pp 141-146. Ralston, SL, Lieberthal, AS, Meissner, HC, et al. 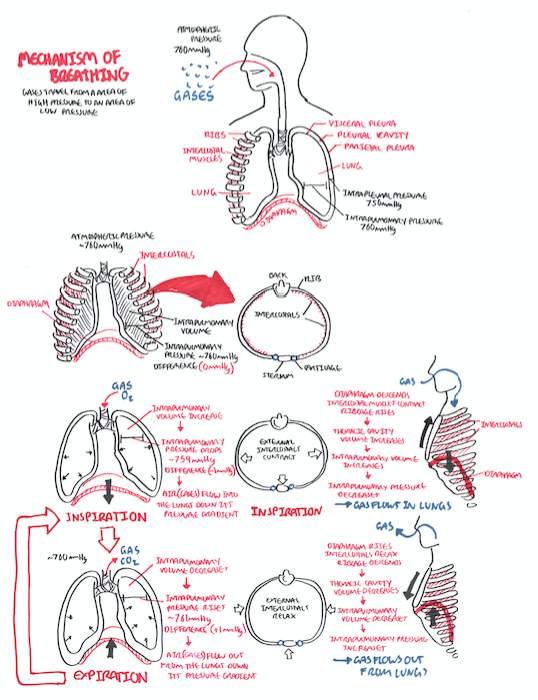 2014, Clinical Practice Guideline: The Diagnosis, Management, and Prevention of Bronchiolitis, vol. 123, no. 5.